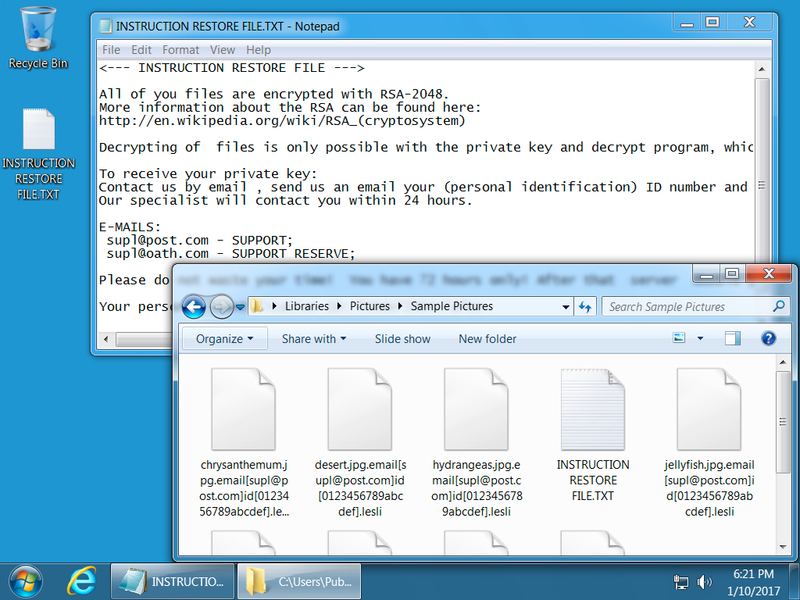 The ransomware I used to call CryptFile2 is actually CryptoMix. Details can be found here. 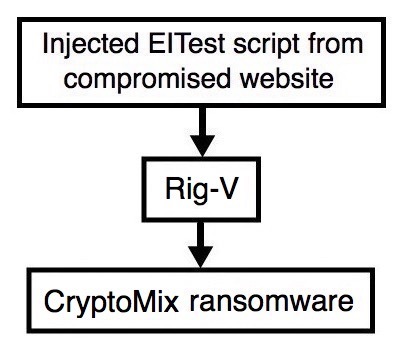 The EITest campaign currently uses Rig-V to send this CryptoMix (CryptFile2) ransomware. Some people might be tempted to call this "Lesli ransomware" based on LESLI SPYING ON YOU in the ransom note and the .lesli file extension it uses for encrypted files. Don't be fooled. This is actually CryptoMix/CryptFile2 ransomware. I first saw the .lesli file extension used by CryptoMix last year on 2016-11-28. Shown above: Injected script from the EITest campaign from the compromised site, 1st run. Shown above: Pcap of the infection traffic filtered in Wireshark, 1st run. Shown above: Injected script from the EITest campaign from the compromised site, 2nd run. Shown above: Pcap of the infection traffic filtered in Wireshark, 2nd run. Shown above: Injected script from the EITest campaign from the compromised site, 3rd run. Shown above: Pcap of the infection traffic filtered in Wireshark, 3rd run. 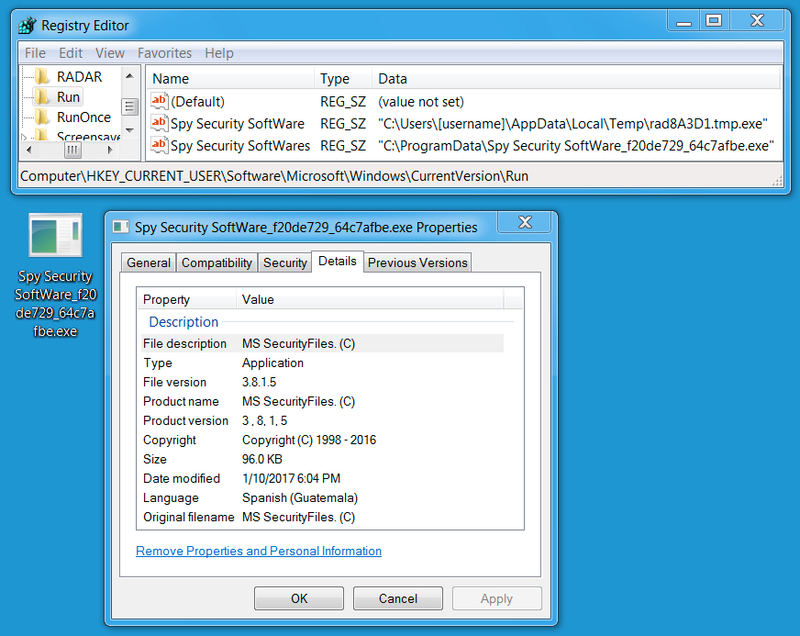 Shown above: CryptoMix ransomware made persistent on the infected host. Shown above: Some of alerts from the Emerging Threats and ETPRO rulesets using Sguil on Security Onion.